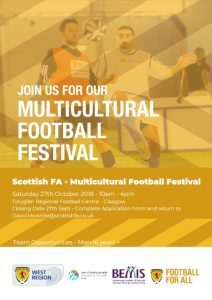 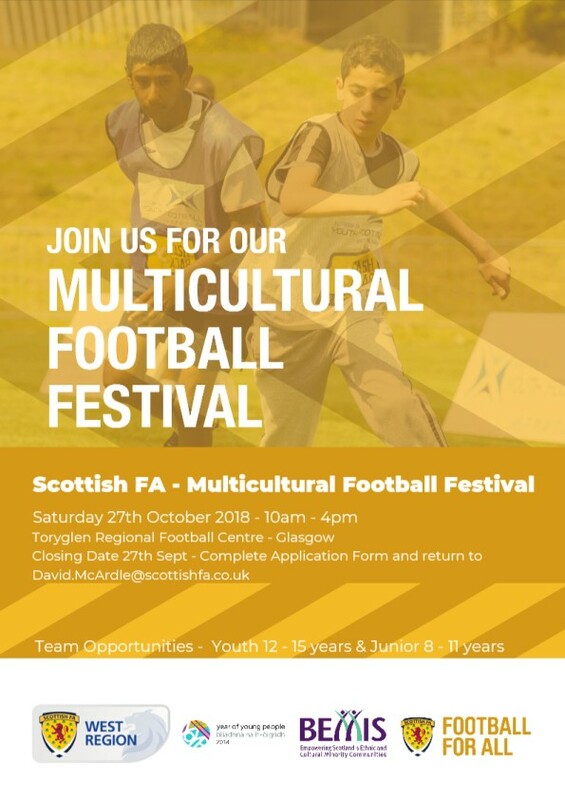 The Scottish FA and BEMIS Scotland are delighted to announce the launch the 2018 Multicultural Football Festival which will take place on Saturday 27th October at Toryglen Regional Football Centre in Glasgow. 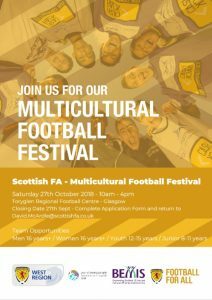 The 2018 festival will bring together teams from across Scotland celebrating diversity and inclusion across the country. 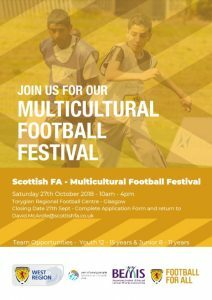 The 2018 event will support the Year of Young People 2018 and celebrate the contribution of young people within Football. 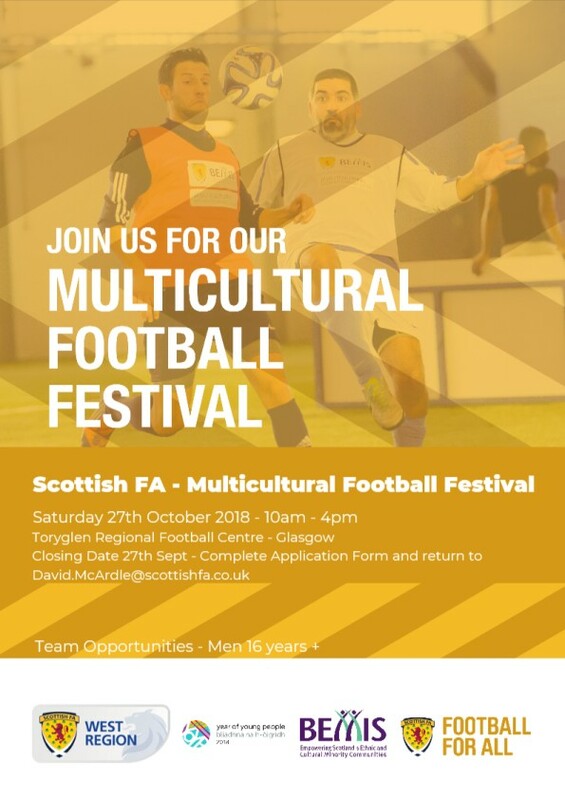 To apply please download the application form below and return to David.McArdle@Scottishfa.co.uk. 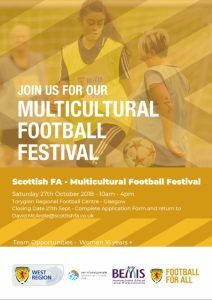 The closing date for entries is 27th September 2018.